Almost everyone can agree that Black Panther was one of the top movies of 2018 being filled with beautiful visuals, story, vibrance and an absolutely stunning cast. The movie raked in quite a bit of money after the initial release almost a full year ago on February 16, making almost $1.23 billion globally just a month after premiering. Now, the movie is coming back to theaters for a limited time. The best part for many people, however, is the price. It will be completely free. Okay, so it will be free in select AMC theaters only which you can find here. The movie will play from February 1 through the 7 to celebrate Black History month and to also celebrate being nominated for seven Oscars at the 91st Academy Awards held on February 24. Welcome to Wakanda. Source: FanCaps. The seven categories Black Panther is contending for are Best Original Music Score, Best Costume Design, Best Sound Mixing, Best Production Design, Best Sound Editing, Best Original Song, and Best Picture. The final nomination of Best Picture is a huge feat for the movie. Black Panther is the first superhero movie in history to ever be nominated for Best Picture at the Academy Awards. Black Panther is not like any other typical superhero film out there. Taking on the topics of prejudice and race, the film brings more a real-life aspect into a fictional setting. Other Marvel films such as Avengers: Infinity War and Doctor Strange still have realistic characters and situations, but do not really tackle topics that mean a lot to many people across the globe today. The movie also takes from actual diverse African cultures and puts them in front of a camera with costumes, language, and race. The costume designer, Ruth Carter, wanted the visual appeal of the film to feel realistic and culturally appropriate. This is why Black Panther is being recognized for brilliant storytelling; being real and going after hard topics most superhero movies run away from. A beautiful and vibrant country. Source: FanCaps. There have been many superhero films in the past that have been nominated for awards at the Oscars, but none have gotten close to a nomination for Best Picture before. Some of these include Spider-Man (2002) for Best Sound and Visual Effects, Iron Man 3 (2013) for Best Visual Effects and Captain America: The Winter Soldier (2014) for Best Visual Effects. Each of these movies lost to others that were not superhero movies. 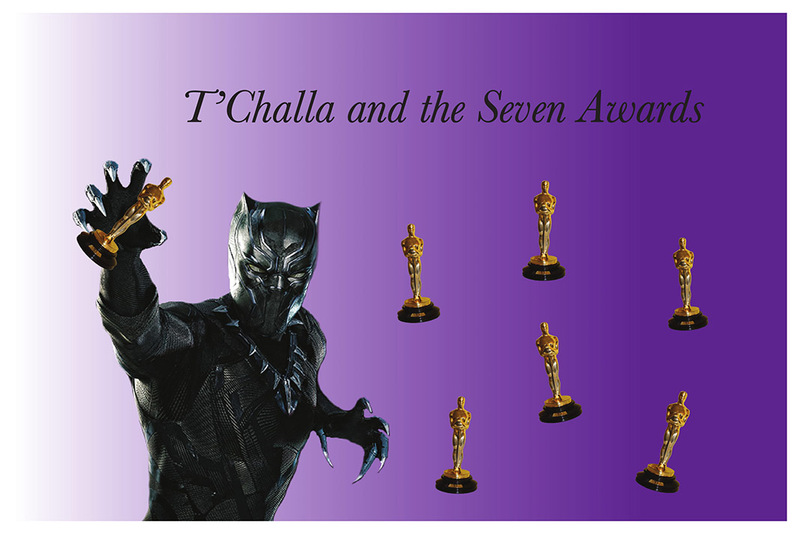 Black Panther has been nominated and won quite a few awards in the past. Most recognized, the film was nominated for and won the Screen Actors Guild awards for Outstanding Action Performance by a Stunt Ensemble in a Motion Picture and Outstanding Performance by a Cast in a Motion Picture. The film has also won four awards from the African-American Film Critics Association (AAFCA). 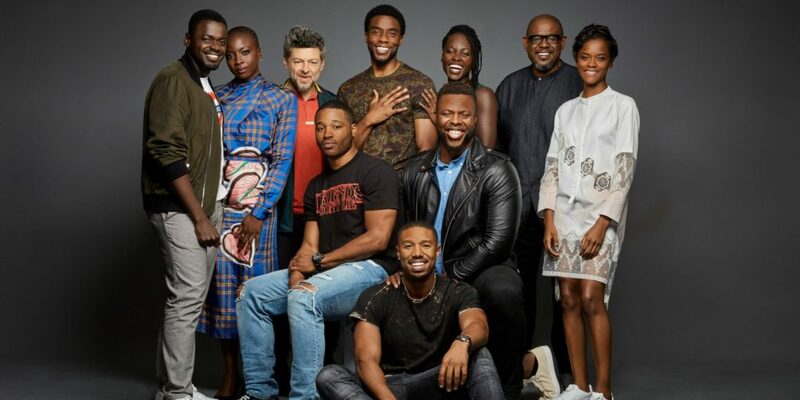 The cast of Black Panther. Source: Screen Rant. I couldn’t have said it better myself. Overall, everyone should be super excited to see such an amazing movie be recognized for what it is and what it stands for. The cast’s abilities to bring such beautifully written characters to life is one of the many great things about the film. I constantly listen to the score while studying or driving and watch the movie as often as possible. I hope that it wins every single Academy Award it is nominated for. Go back to the theaters as soon as Black Panther hits and be blessed by this film in all its glory.